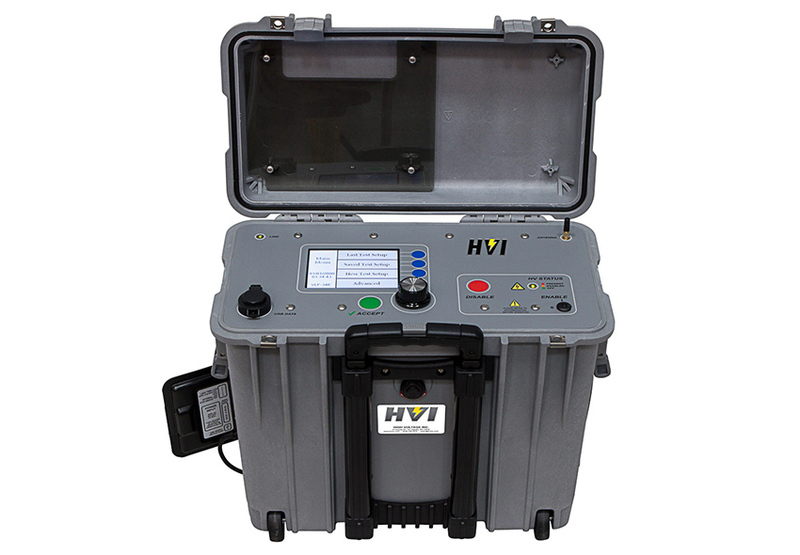 The VLF-34E is a top performer from the latest generation of HVI VLF AC hipots using a dry-type, air-cooled, solid state design with microprocessor control. Test programming, data retrieval, and custom PC software are intuitive and easy to learn. 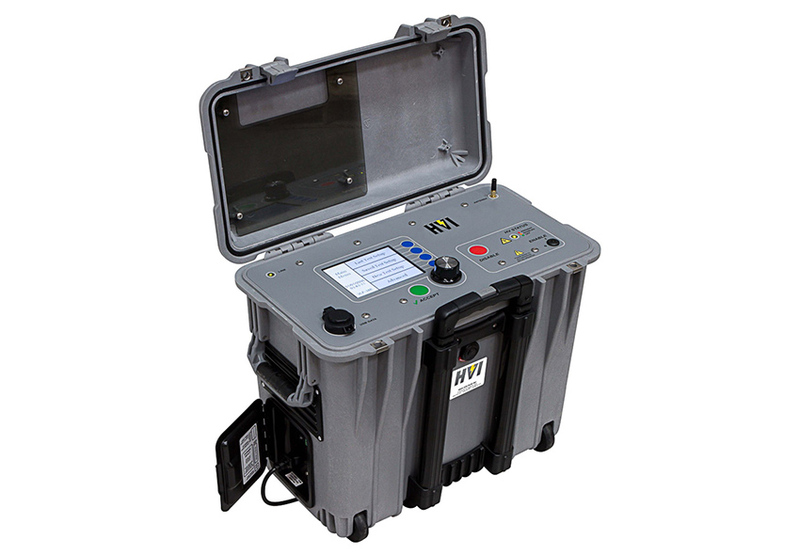 This unit is portable, affordable, and designed to withstand years of field use. 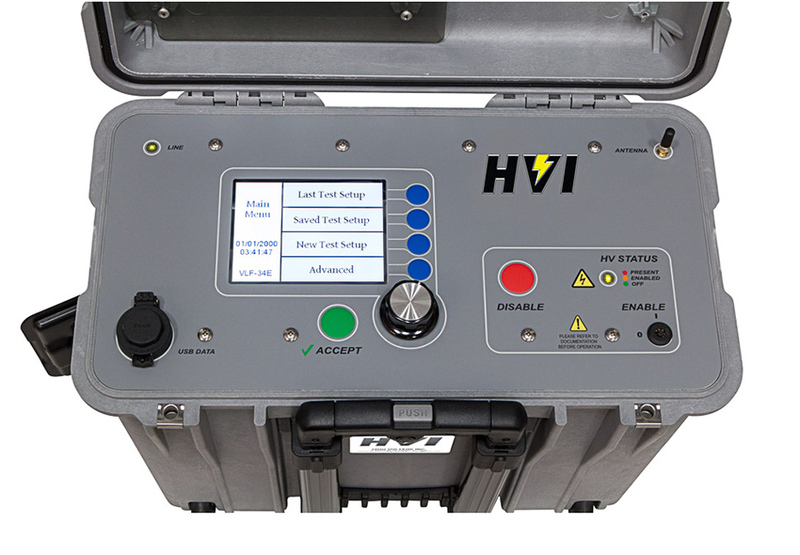 Its 0 – 34 kV AC peak/0 – 24 kV RMS output voltage meets world standards for maintenance testing up to 25 kV class cable, and its sine wave output pairs easily with the optional tan delta and partial discharge measurement systems. The VLF-34E meets the following specifications: IEEE 400.2, IEEE 400, IEC 60060-3, CENELEC HD 620/621, VDE DIN 0276-620/621. IEEE 433 for motors/gens. 19.7 x 12 x 18 in., 45 lbs.